Founded by Bre Pettis, MakerBot is the company that more than any other has contributed to creating the idea of a desktop 3D printer. What began with the “Cupcake” a 3D printer based on the RepRap Project in 2009, evolved into a multimillion dollar company. In 2012, the industry leader Stratasys acquired Makerbot for $403 million. The MakerBot Replicator 5th Gen is the direct result of this union. It combines MakerBot’s affordability with Stratasys’ reliability and automatization, together with intuitive software and the power of the integrated Thingiverse Network for 3D models. This leads to what is possibly the first true plug & play 3D printer. All you have to do is take it out of the box, plug in the magnetic smart extruder, wait until it calibrates, install the MakerBot Desktop App and then you are ready to 3D print. You can choose to import your designs or just browse Thingiverse’s close to 500.000 free models and print them with just a few clicks. The new MakerBot it is a “prosumer” 3D printer. Meaning: the €3.000+ price tag makes it a system designed for professional users who would rather invest their money in ease of use then spend time with a less expensive albeit less intuitive machine. 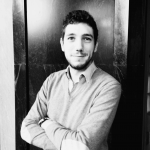 You also pay for the full customer support the company offers, which you are going to need if you are the kind of person who just needs to print out something, like an architect or designer and don’t want to spend time tinkering with the hardware. When you get your MakerBot Replicator 5th Gen delivered to your home or office and open the large box it comes in, you find that every component (plate, extruder, filament coil cables) is placed neatly inside its own cardboard container. You just pull them out and insert them into the 3D printer, following some surprisingly simple instructions on the downloadable PDF manual. MakerBot wants anyone with a minimum of computer abilities to start printing as quickly and easily as possible. The smart extruder magnetically self-connects. The control software guides you in the alignment of the build plate, with a LED lights to indicate when to stop turning the wheels that regulate the axes. The look of a Replicator 5th Gen is minimalistic and solid. Black plastic is covering the metal components and hiding away the mechanics. Even the filament coil is hidden away inside a receptacle in the back of the machine. The color 3.5″ LCD screen gives you access to all setup options, including the inboard camera for remote viewing of the print through the MakerBot online App. You can also use it to connect the printer connects to your home Wi-Fi network. The 25x20x15 cm open build volume means you can 3D print relatively large objects using only MakerBot’s PLA filament, especially because the acrylic print plate is not heated and thus not capable of handling ABS. This is not such a bad thing considering ABS’s releases toxic fumes, and this is a machine intended to sit inside studios and homes. PLA is also completely biodegradable (which means you should throw it away with your organic waste); it requires lower temperatures and less energy to be extruded and 3D printed. The downside is that the filament spool size requires you to use the more expensive MakerBot filament for guarantee of optimal results. Once again, this should not be an issue for those using the MakerBot for professional projects, since the price difference only amounts to about $30 per kilogram. For many, that is a price they are willing to pay for convenience and quality. 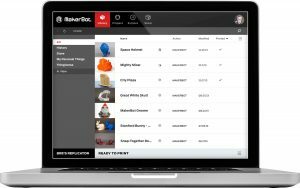 When you launch the MakerBot desktop App and access Thingiverse you enter into a world of 3D models and feel that they are all at your fingertips. Knowing you can 3D print just about anyone of them at will is a powerful sensation. You can save your favorite models and organize them in your virtual library to re-print them or modify them. In the beginning, you will just use the default setting but as you become more familiar with the process, you will start to optimize supports, wall thickness and other elements to make the prints faster and more precise. The Replicator 5th Gen’s maximum layer resolution is 100 microns, a tenth of millimeter. 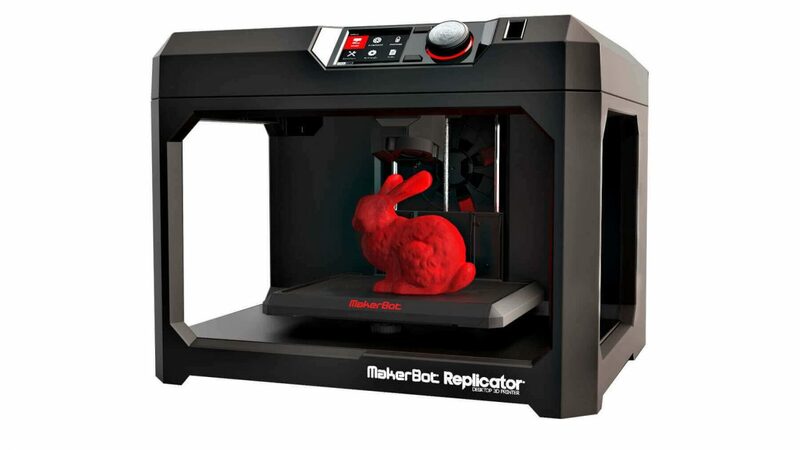 The 5th generation is not going to replace the MakerBot 2 anytime soon, nor it intends to. Its mission is to reach out to a different, newer and more affluent demographic of 3D printing adopters, while the Replicator 2 resists as a fast and reliable system and the Replicator 2X is still the only one with double extrusion and ABS filament capabilities. Whether this strategy will pay off in the long run, with competitors such as Ultimaker becoming more aggressive even in the US, remains to be seen. MakerBot is Stratasys $400 million bet on the future of desktop 3D printing: Stratasys global distribution capabilities and integration of the number one 3D model network will support it. 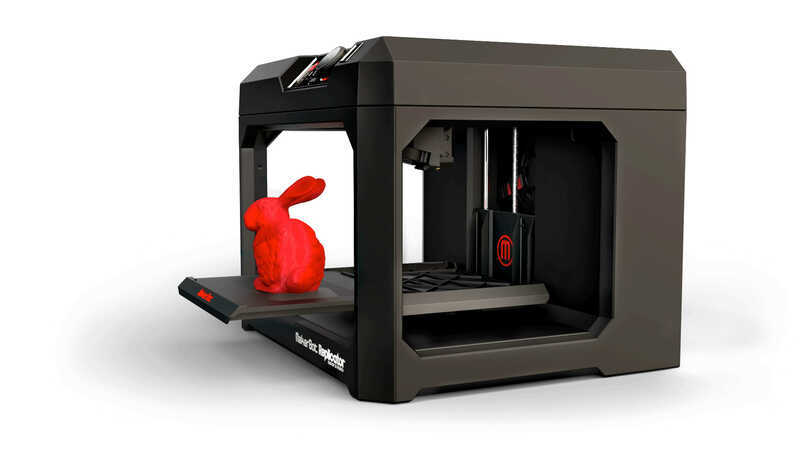 But it will be up to the MakerBot 5th Gen to breach into the homes and offices of customers worldwide. Try out All3DP’s new one-click printing service! And what about the Makerbot Mini, which was announced at Consumer Electronic Show in January 2015? If you want to know more about it‘s pros and cons and if it’s the right printer for you, you should take a look at our first impression of the Makerbot Mini right here. Also, here are our in-depth printer tests of the Zortrax M 200 or the Ultimaker 2. 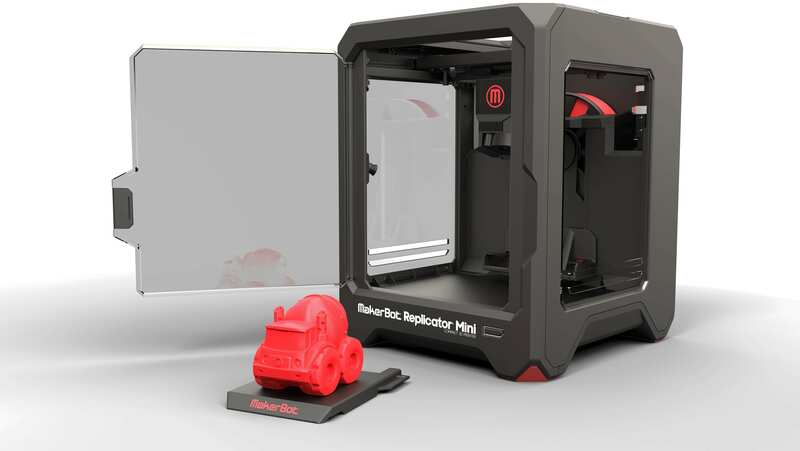 License: The text of "MakerBot Replicator 5th Gen brings convenience for a hefty price" by All3DP is licensed under a Creative Commons Attribution 4.0 International License.